We have all the Wordscapes Uncrossed answers for your level here. We’ve got the solutions with the words when you are stuck. With our help you will get all the words for the level you need so you can play on without using hints. You can just browse through our pages with categories and solutions. But it is possible that your level does not correspond with these. Sometimes the levels change for all players. In that case you can enter all your letters here and search for every possible solution. You will see the words that belong to your letters. If you solved your Wordscapes Uncrossed level then please give us a like! You can find the Wordscapes Uncrossed categories below. For each category we have the solutions to solve your level. If you can’t find the words you need then you can leave a message at the bottom of this page so other players can help you. 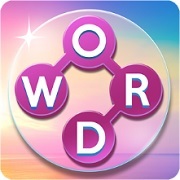 Wordscapes uncrossed is the followup on Wordscapes and we also have all the answers for that game. So if you have finished this game and want some more, then go play and get the Wordscapes answers here.